Pakistan Institute of Engineering and Applied Sciences (PIEAS) Islamabad has started the admission process for Fall 2019. 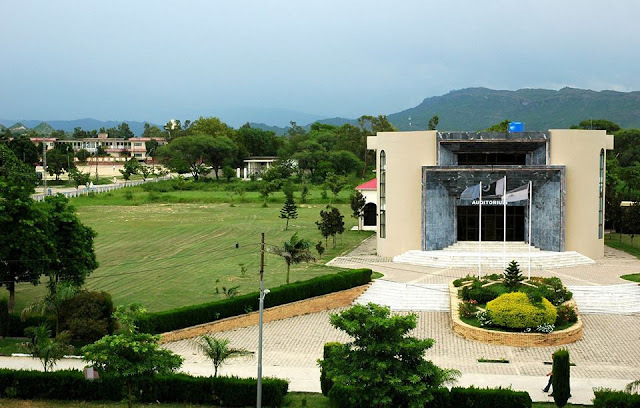 Pakistan Institute of Engineering and Applied Sciences (PIEAS) Islamabad was established in 2000 as a degree awarding institute. PIEAS is a Public Sector University that is recognized by the Higher Education Commission of Pakistan and accredited by Pakistan Engineering Council. The University is also affiliated with Pakistan Atomic Energy Commission. Must have a minimum 60% marks in SSC or equivalent. Must have a minimum 60% marks in HSSC-I / HSSC or equivalent with Mathematics, Physics and Chemistry / Computer. Candidates having ICS can apply for Computer and Information Sciences and Physics (If the combination of subjects included Physics). Must have appeared in SAT-II or appearing in PIEAS Entry Test. SAT-II with a minimum score of 2000 in Chemistry, Physics, and Mathematics-II are required. Note: Pre-Medical candidates with additional Maths are also eligible to apply. Eligible candidates can apply online from the link given below. Simply click on the link given below and sign up for a new account. After you have signed up for the account, login and fill all the required details carefully and submit the fee challan in the bank.